And here is the card I came up with for this very cool combo challenge. I have to say I had so much fun with it. And the banner idea came from Eryn's card I made for her in my yesterday's post. I love the way this card turned out and hope you do, too. 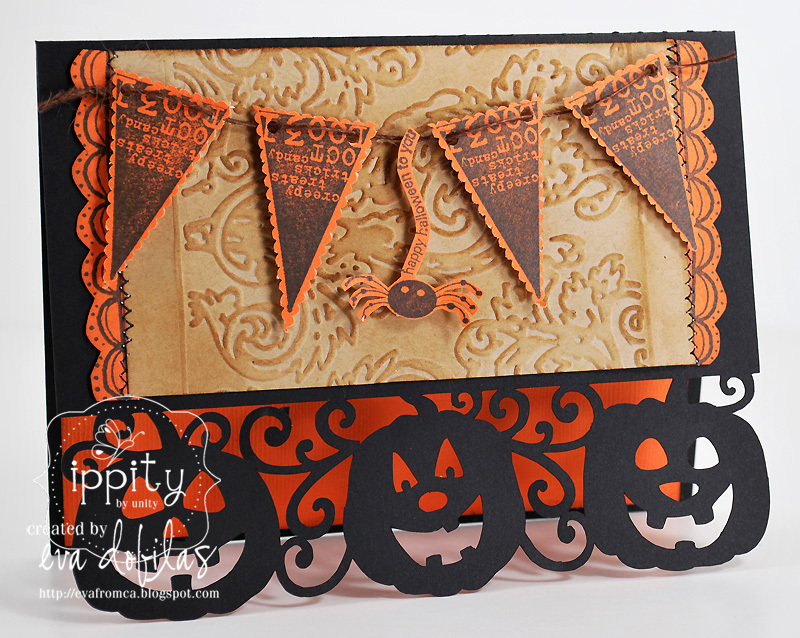 Card base was cut with my Silhouette and yes, it is another Samantha Walker design called Jack o Lantern card. Isn't it fun???? I sure love it, adds so much to my card. Ippity sets I used on this card are That's Creepy and the border is from the Sweet Thoughts of Spring. See, those borders can be used all throughout the year! Well, that is it for today. Hope you have a lovely Monday and a lovely Hop as well! Thanks for visiting!